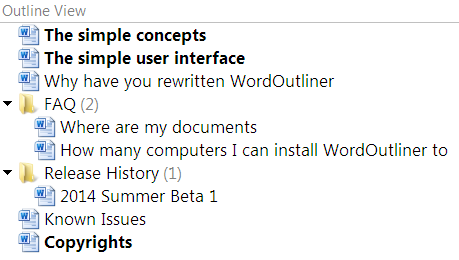 WordOutliner is a Word add-in designed for writers who work on large writing projects, and for those who want to access and manage documents directly inside Word. A project actually links to a folder in your file system. You can put your frequently used folders here, say "My Documents". The outline view shows the structure and content of the selected project folder. All your drafts, reference files such as pdf's, images, plain text files, all are accessible here. You can drag-N-drop, create or rename documents here. 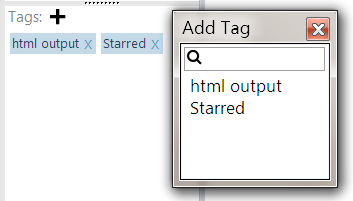 Add metadata (synopse, notes, tags, target words, etc) to each of your documents. The metadata is stored in a Sqlite3 database file in the root folder of your project. You set your target words and WordOutliner will track your progress. Tag your documents, like Gmail, EverNote, etc. Quick switch between open documents here. 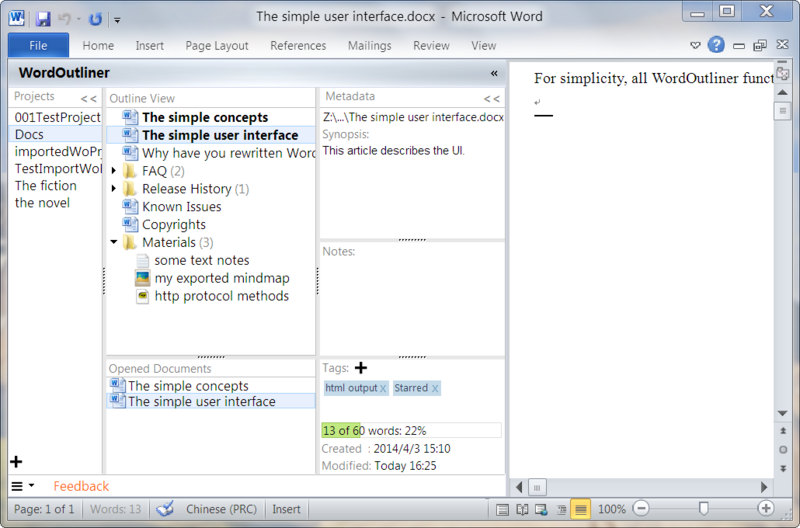 When writing, have all your drafts and reference materials just one-click away within Word window. Document tags can be the status of the docs such as 'Important', 'Done', etc, or character names if you are writing a novel. Set your target words and WordOutliner will show your progress (with a nice-looking bar and percentage). All the features exist to make your life easier as a writer. Download now and enjoy a smoother writing/docs management workflow!